District Governor Bruce Azevedo is a great believer in teamwork. Teamwork is vital to Rotary. Rotary cannot achieve complete success without the participation and cooperation of all members of the team. We would like to have all team members attend Rolling on the River District Conference May 2-5, 2019. District Conference brings our clubs' successes full circle. 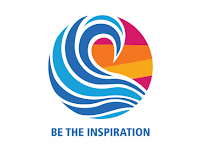 Here, you will inspire your fellow Rotarians with what you and your club are doing and you will be inspired by them. If you've been to a district conference before, we are bringing back a few traditions: cookie breaks, local service project, child care during the dinners, and clubs will have the opportunity to share their outstanding projects. There will be group activities or you can visit Greenville on your own. Click here for information on Greenville and all it has to offer. Who knows? Maybe there will be new club traditions started on Saturday, May 4 with clubs inviting their conference attendees to lunch with ample time afterwards to explore Greenville. Due to the success from last year's conference, we will offer again a 1st time Attendee Session on Thursday, prior to the official start of the conference, to learn about expectations at a District Conference. Some new additions to District Conference this year will be themed dinners, promotion of sponsorships, and lots of fun that will be happening in our House of Friendship. Click here for conference agenda or visit Rotary6910Conference.org/Agenda. Click here for sponsorship information or visit Rotary6910Conference.org/Sponsors. As your District Conference Chair, I am committed to ensuring that you have the best conference experience ever! Bring the family and enjoy an incredible, entertaining weekend in beautiful Greenville, South Carolina.